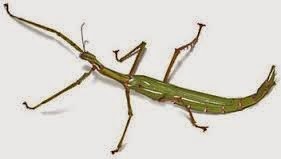 Stick insect females are capable of reproducing without having to go through the effort of finding a mate. Her unfertilised eggs will hatch into female clones of herself, however in the interests of genetic diversity she will still need to go out and find a man if she can. 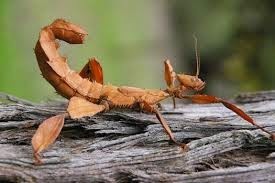 Mum stick insect will lay her eggs by simply dropping them to the ground. During her life (around 9 months) she will drop between 100 to 1300 eggs. Their eggs resemble small seeds with a fatty capsule on one end, called the capitulum. A passing ant will take the egg thinking its a seed and carry it to its nest. Once the ants have eaten the capitulum, they toss the rest of the egg onto the colony's underground garbage heap, here the eggs will safely incubate away from predators. When the nymphs hatch, they quickly make their way out of the ant nest and up the nearest tree. Stick insects are highly evolved to avoid detection. They hate conflict because they don't have any way to fight off an attacker so it's important that they hide away from predators' eyes. Inventive camouflage helps stick insects blend into their surroundings. To avoid detection they also like to do a swaying dance when they move around, to look like a stick swaying in the breeze, and they also do most of their activities at night.